Canada's population is one tenth of that across the border, making the U.S.A. a potentially huge market. 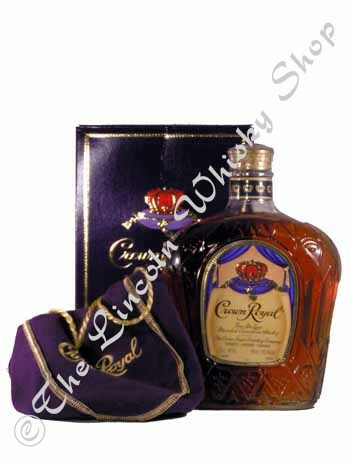 Crown Royal is the most popular whiskey imported into the U.S.A. It has a well defined mellow flavour & is a skillful blend of the finest, aged Canadian whiskeys, each imparting a rare characteristic to create a fine, light, mellow taste. It is presented in a purple drawstring bag within its foiled box. As featured in “101 Whiskies to Try Before You Die” by Ian Buxton (see the Books section).